Multi-family houses divided into two units, with a separate entrance for each. Located in San Marcos and the greater Austin area. Adorable 3-bed 2-bath Duplex with a fenced yard! Built in summer 2017. Close to I-35 and the thriving downtown district! Great location! 3/2 Remodeled duplex with backyard. Ceramic tile floors, open floor plan! Pets welcome, large fenced yard! Student 4 bedroom, 2.5 bathroom duplex located off the historical district of San Marcos. Large, fenced, shared back yard. Two story with designated parking lot. Brand new dishwasher and full size washer dryer in unit! 3/2 Nice duplex with spacious bedrooms. Large backyard and washer dryer connections. Pets are welcome! Beautiful 2 story duplex featuring 3 bedroom 2 1/2 baths,tile floors,and garages.large backyard, pets welcome! Duplex with tile floors throughout, except stairs rooms. Wonderful open kitchen and living room for entertaining. 3 Spacious bedrooms with 3.50 baths. Great for students, call for appointments! 2 Story 3/3.5 Duplex W/ car garage, microwaves, ceiling fans. Open living room, on bus route, nice fenced yard. Pets welcome! 909: Tile downstairs and carpet on stairs and in bedrooms. 911: Tile downstairs and carpet on stairs and in bedrooms. Large, private duplexes along Sagewood Trail that offer spacious yards, perfect for entertaining. Wonderful open kitchen and living room. Comes with full size washer and dryer, and all kitchen appliances. Right off Texas State bus route. Call for an appointment. Great for family or students! Large, 3 bedroom, 2.5 bathroom private duplexes along Sagewood Trail. This property offers a spacious privacy fenced backyard, perfect for entertaining. Wonderful open kitchen and living room. 3 upstairs bedrooms with 2 private bathrooms and half bath downstairs. Comes with full size washer and dryer, and all kitchen appliances. Right off of the Texas State bus route. Call for an appointment. Great for family, students and pets! Awesome duplex with great living space. Enjoy ceramic tile in gameroom/living room and kitchen.Spacious bedrooms upstairs. Peaceful setting surrounded by trees. Pet Friendly! Wonderful 2 story 2 bedroom duplex in adorable neighborhood with trees surrounding. Large living room or game room downstairs, large bedrooms upstairs. Pet Friendly! Wonderful 2 story, 2 bedroom/1.5 bath duplex in an adorable neighborhood with trees surrounding. Large living room or game room downstairs, large bedrooms upstairs. Private driveway parking. Pet Friendly! Great duplex with great living space. Enjoy ceramic tile in game room/living room and kitchen. Spacious bedrooms upstairs. Peaceful setting surrounded by woods, mature trees, and sometimes you might even see deer. Pet Friendly! 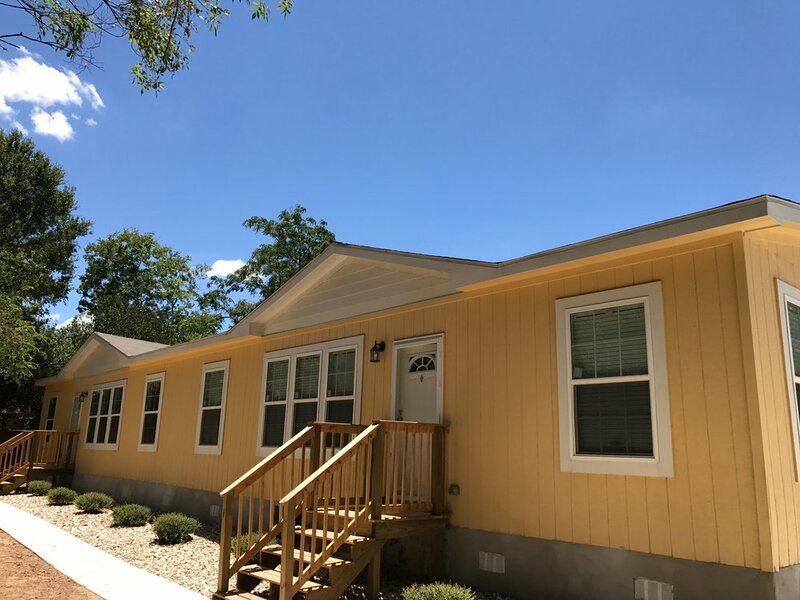 Adorable duplex on the corner of Gatti's school Road in Round Rock, nice shade trees, fireplace, breakfast bar, and walk-in closets. Large washer/dryer hook-ups. 2/1 duplex in nice neighborhood. Huge fenced yard with deck, very desirable location, and ceramic tile and carpet floors. Pets welcome! 2 Story 3/3.5 Duplex W/ car garage, microwaves, ceiling fans. Open living room, on bus route, nice fenced yard. Pets welcome! 878: Tile downstairs, carpet on stairs and in bedrooms. Large, private duplexes along Sagewood Trail that offer spacious yards, perfect for entertaining. Wonderful open kitchen and living room. 3 upstairs bedrooms with private bathrooms and half bath downstairs. Comes with full size washer and dryer, and all kitchen appliances. Right off of the Texas State bus route. Call for an appointment. Great for family or students! 915: Tile downstairs, carpet on stairs and in bedrooms 917: Dark-wood laminate throughout with carpet on stairs. Nice duplex right off of Bishop with easy access to I-35 or shuttle. Living room has ample light and breakfast room off of galley kitchen. Full washer/dryer connections with fenced backyard. Available for rent: Yes - Late July 2019! Charming 3 bed 1.5 bath duplex nestled in Plum Creek in Kyle, Texas. Fenced backyard with a garage and multiple storage areas. Washer and dryer included with the unit. We love your pets! Tree covered lot surround this 3/2 remodeled duplex. 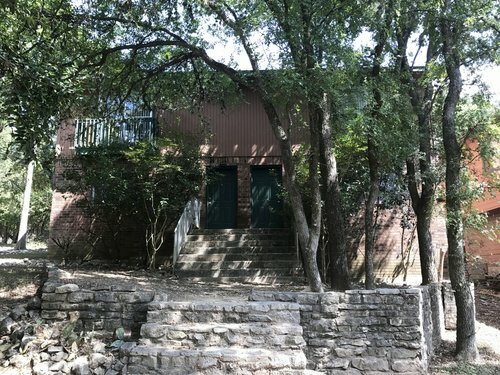 Nice cabinets, spacious bedrooms, spacious backyard, washer dryer connections. Right now, bring your friends to live on the other side! Wonderful 2 story 2 bedroom duplex. Large living or gameroom downstairs, large bedrooms upstairs. Beautiful 2 story house located in the Plum Creek subdivision in Kyle, TX. Includes a full size washer/dryer, 2 car garage, gas range and vinyl wood floor! Gorgeous white picket fence around the yard. Pet friendly! Two story town home nestled in the Plum Creek subdivision in Kyle. All three bedrooms are on the upper floor, along with two full baths. Comes with electric washer and dryer hook ups, a gas range, water softener, and a brand new dishwasher. Two car garage and fenced back patio.